When you need towing in Pittsburgh, PA we are here to serve you 24 hours per day, every day. We will send one of our professional tow truck drivers to assist you for an affordable price. For a tow truck estimate, give us a call: (412) 888-0990. Let us know where you are located, where you need to go, the make/model of your vehicle and the color. Our friendly customer service associate will quote the best prices for you. *IMPORTANT NOTICE: WE ARE NOT THE CITY IMPOUND YARD. 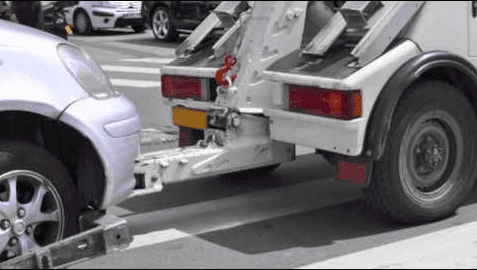 If you have discovered that your vehicle has been towed away, you must first call the police to see which impound yard your car has been towed to. There are many reasons a vehicle can be towed. It could have been illegally parked or moved for an event or city parade. In some cases, vehicles get stolen. We hope this isn't the case, however you can obtain all of the information you need by contacting the Pittsburgh Police. 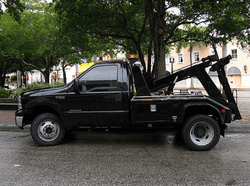 We are able to tow away your vehicle only after it has been released from the city impound yard. We offer many other services besides towing. We can open up your vehicle for you if you have locked yourself out. We can change a flat tire for you or deliver gasoline if you've run out of gas. We offer jumpstart service in case of a dead battery. We can also haul away junk cars as long as you have a valid title. Give Us a Call for Tow Truck Service Costs and Auto Wrecker pricing: (412) 888-0990. If a vehicle is blocking your garage or driveway and is not on your private property, you must first call the police to ticket the vehicle before we can tow it away. Once the vehicle has been ticketed, give us a call and one of our friendly customer service representatives will be glad to assist you: (412) 888-0990. If your car or truck has become disabled on the Pennsylvania Turnpike, first move your vehicle off the roadway to a safe spot on the shoulder of the road. Dial *11 to reach the Operations Center of the PA Turnpike to request assistance. If you do not have a phone, you can look for one of the yellow call boxes placed on the side of the road. Each call box is located one mile apart on the roadway. DO NOT cross the median as accidents or fatalities can occur. Call boxes are located on both sides of the Pennsylvania Turnpike. If you leave your vehicle unattended, it will be removed by the turnpike authority within 24 hours. If you have broken down at night, remember to turn on your headlights and hazard lights. Another way to alert other drivers and police that your car is disabled is to tie a bright colored cloth from the driver's side door or from the antenna. Always exercise caution during a breakdown. Do not stand outside of your car on a busy highway. Move your vehicle to safety before getting out to inspect any problems. Use your hazard lights to alert others around you that your car is disabled. If it is dark outside turn on your lights and hazards lights so that others can see you. Do not leave children, pets or elderly persons unattended in the vehicle to summon for help. It's best to remain in the vehicle until help arrives. When you need Pittsburgh towing service, Give Us a Call at: (412) 888-0990. Always practice safety and caution when driving and operating a motor vehicle. Never drink and drive and never text and drive. Too many fatalities occur in the U.S. every year due to drunk driving and texting while driving. Nearly 1/3 of automobile accidents and fatalities happen because of drunk driving and texting. Stay in the right hand lane unless you are passing other traffic. Slow driving in the left hand lane impedes the flow of traffic and increases the chance of an accident. ​We will deliver gasoline to you if your vehicle has run out of fuel in Pittsburgh. Gasoline prices fluctuate daily and this affects our gas delivery prices. Please call for our current fuel delivery prices: (412) 888-0990. Not a AAA Towing Member? No worries! Give Us a Call for Towing and Roadside Assistance: (412) 888-0990. We understand that nobody likes to break down, it can be a stressful and costly event. That's why we strive to keep our towing prices reasonable and affordable. Our customer service representatives will quote the best prices for each service we provide. Call our customer service department to find out about about tow truck costs, fuel delivery, jump starting, tire changes, junk car removal and lockout service. Are you looking to move your most prized vehicle from point A to point B? We schedule towing to fit your schedule. If you are moving to another location or wish to transport your vehicle to compete in a car show, leave the transport of your vehicles up to us! We will ensure your vehicles are transported professionally and on time. 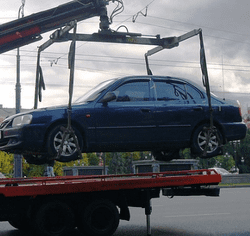 For Tow Truck Service Pittsburgh call: (412) 888-0990. Look for us in the Yellow Pages under "Tow Truck Pittsburgh". 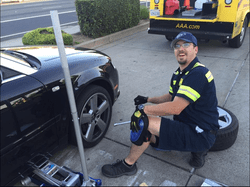 Need a towing service in Chula Vista, CA? Call our friends at Towing Chula Vista. 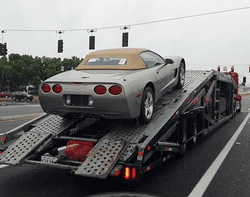 Need a towing service in Hendersonville, TN? Callour friends at Hendersonville Towing. ​We Provide 24 Hour Emergency Towing. Call Towing Service Pittsburgh: (412) 888-0990. Help keep our roadways safe! Not texting or being drunk while driving saves lives. There is no drink nor any message more important than a precious human life. Do not ever get behind the wheel of a vehicle if you have been drinking. Do not text while driving, it puts the lives of others in danger around you. Once the damage has been done it's impossible to turn back time. One third of automobile accidents in the United States are due to drunk or texting drivers. REFUSE to become a statistic! Drive responsibly. Please always take precautions while driving, wear your seat belt and take your travel and driving safety very seriously. Educating our young people on the importance of driving responsibly is a matter of life and death.